Another week, another chicken problem. It seems Red has hurt her leg somehow. Red, by the way, is any one of the Rhode Island Reds, as we cannot really tell them apart. Anyhow, we have had to separate her to keep the others from picking on her, and to keep her from trying to go up and down the stairs in the coop. We’re also giving her half a baby aspirin at least two times a day. Right now she is avoiding standing on that foot, but I cannot see anything wrong with it. That leads me to believe she might have sprained it somehow. In other chicken news, we built a small coop for the babies (the Welsummers) so they can start staying outside all the time. The silly girls wouldn’t go into it the first night though, acting like young kids the first time they try to camp out. 😀 We finally decided to bring them in after listening to crying for an hour. Maybe they will get used to it decide to sleep in it. It won’t be long until it is time to integrate them with the rest of the girls. We had a good week of laying both weeks, including one day where all of the older birds laid eggs – that hasn’t happened often at all. This week’s update: Red is doing much better. 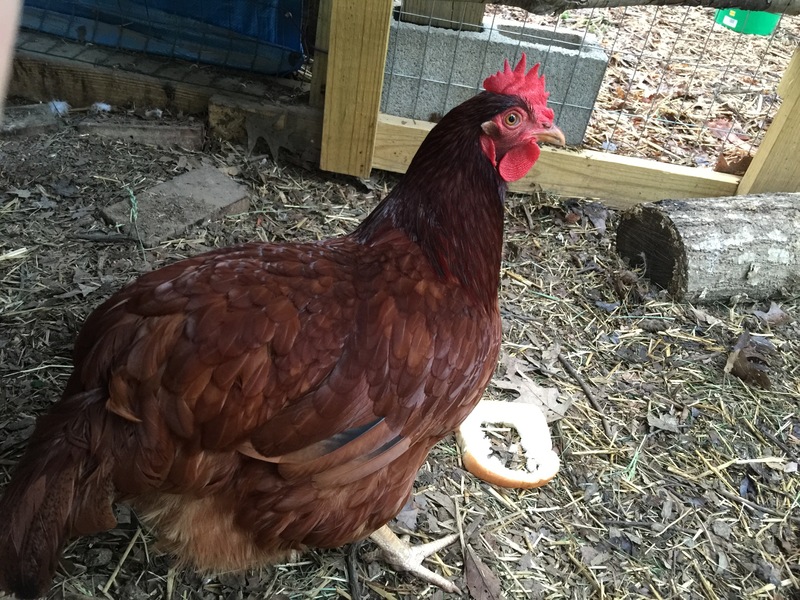 She is now back in the coop with her sisters, and while she is still favoring her leg, she is much, much better. Since last week, we have put ankle bracelets on three of the Rhode Island Reds, and amazingly we can now see who rules the roost! 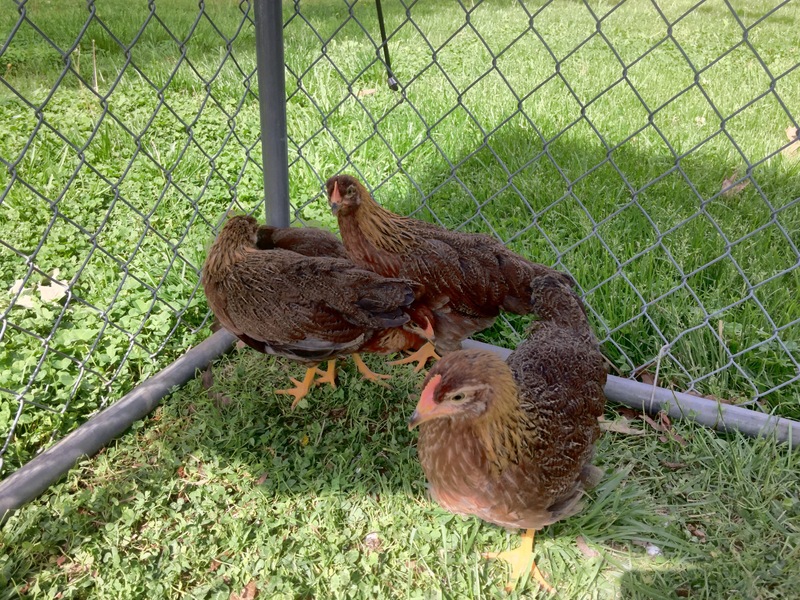 There is one of them, tentatively named Pink (because of the pink bracelet) who is obviously at the top of the pecking order, and it seems Blue (you guessed it, a blue bracelet) who seems to be #2). The Easter Eggers seem to not really care either way, but they do recognize Pink’s authority. It’s funny how we could never notice that without some identifier of who was who.